Trying to dethrone a king is a tough task to accomplish, especially when its lineage has been around for what might seem to be ages. Well, that’s exactly what we’re seeing here in this comparison, as we take the newly minted Nokia Lumia 928 against the magnitude of star power behind the Samsung Galaxy S4. 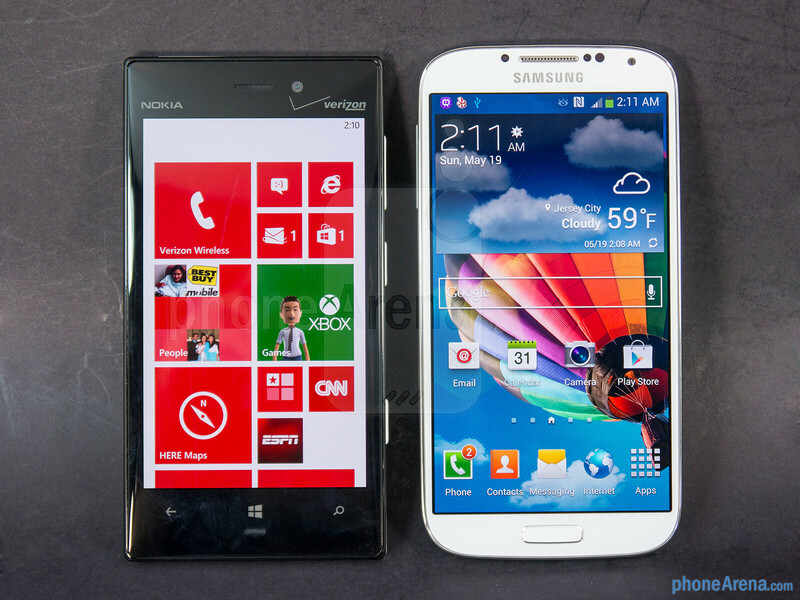 Arguably the two best handsets for their respective platforms, the Lumia 928 might seem insignificant against the imposing presence of Sammy’s flagship, but the true test to find a winner is to pit the two head-to-head in each category. Looking at the two, it’s not surprising that their designs are iterative, but if we have to pick, we’ll give it to the Nokia Lumia 928 by just a smidgen. 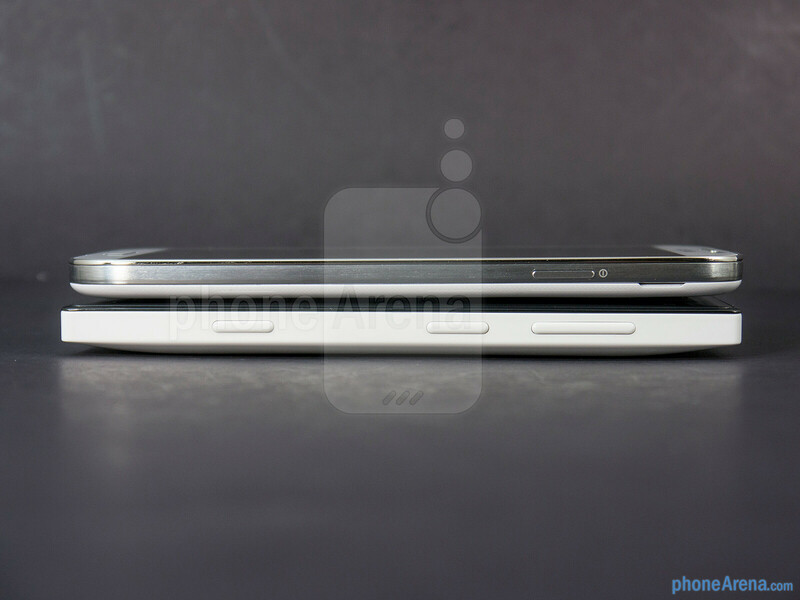 Sure, the Galaxy S4 is thinner and lighter, but it just simply doesn’t come off as the more stylish device between the two – even more when it still, you know, looks like the Galaxy S III from afar. In contrast, the Lumia 928 still employs the distinct design characteristics of past Lumia devices, but we appreciate its more solid build quality, so if the two were accidentally dropped, we’d feel more confident that Nokia’s prodigy would handle it better. Furthermore, there’s just this stylish appeal with its hard lines and tapered design. 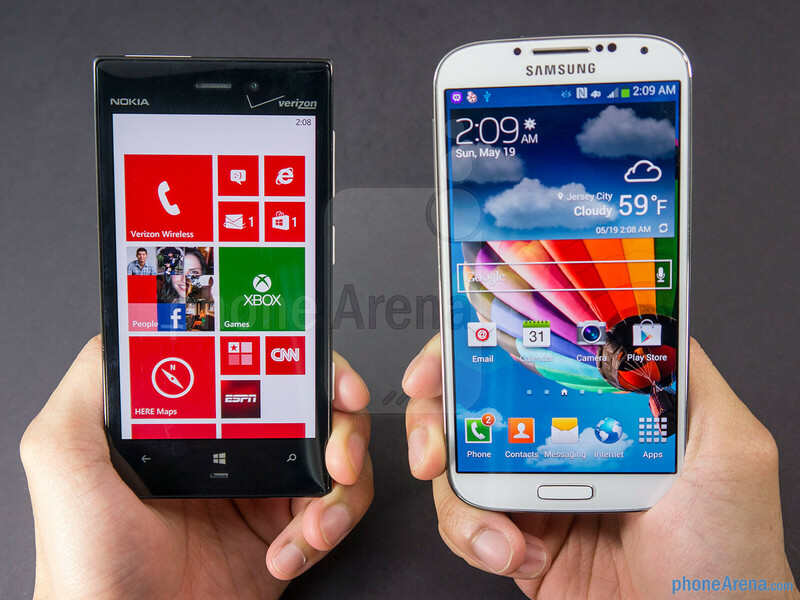 Even though the two feature distinctive power buttons and volume controls, the Galaxy S4’s set seem to be the more responsive – whereas it’s lacking with the Lumia 928. 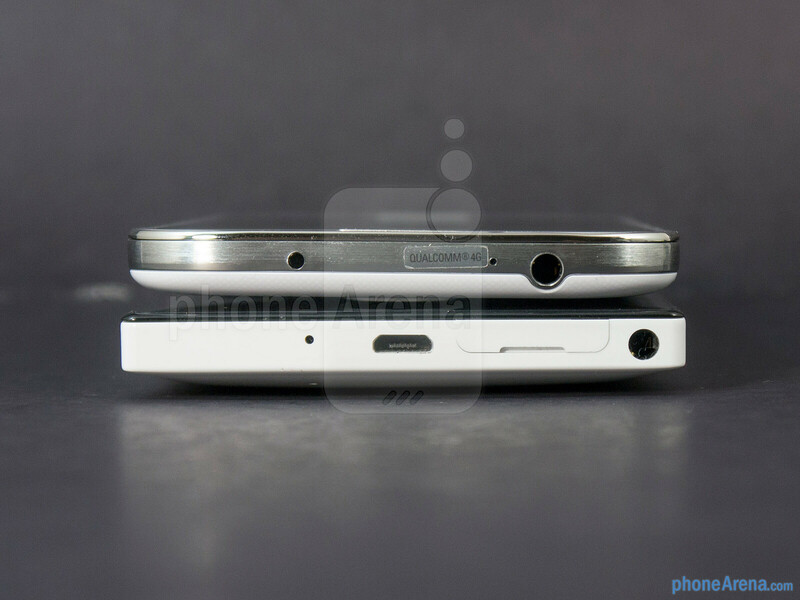 Taking a peek around the bezels of the two smartphones, they’re packing all the same ports and buttons. To be specific, they include the standard mic, noise-cancelling mic, 3.5mm headset ports, and microUSB ports. With the latter, though, the Galaxy S4 offers the useful functionality of video-out. And finally, the S4’s feature set is strengthened by the addition of an IR blaster, which doubles for a universal remote. Being high-end devices and all, it doesn’t surprise us that they’re packing some serious cameras. 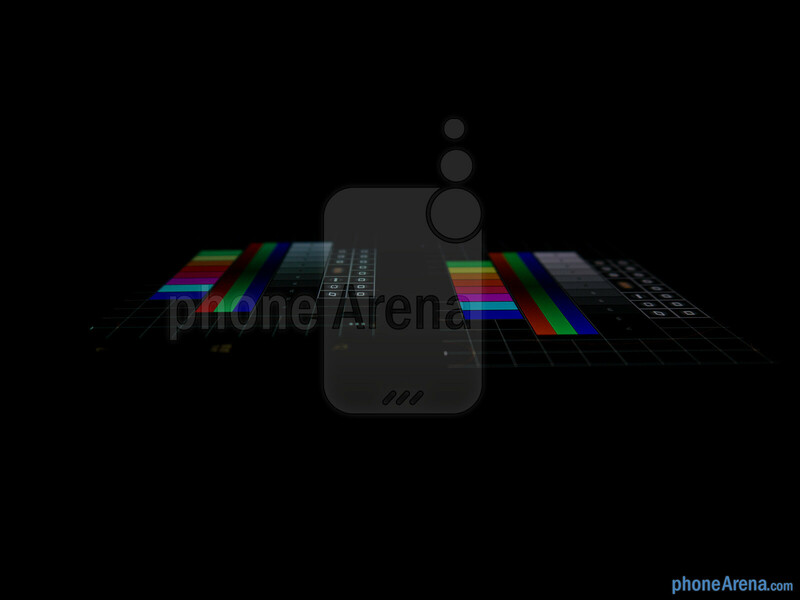 On the Lumia 928, it tucks away an 8.7-megapixel PureView camera, which features Carl Zeiss optics, an f2.0 lens, optical image stabilization, and a Xenon flash. 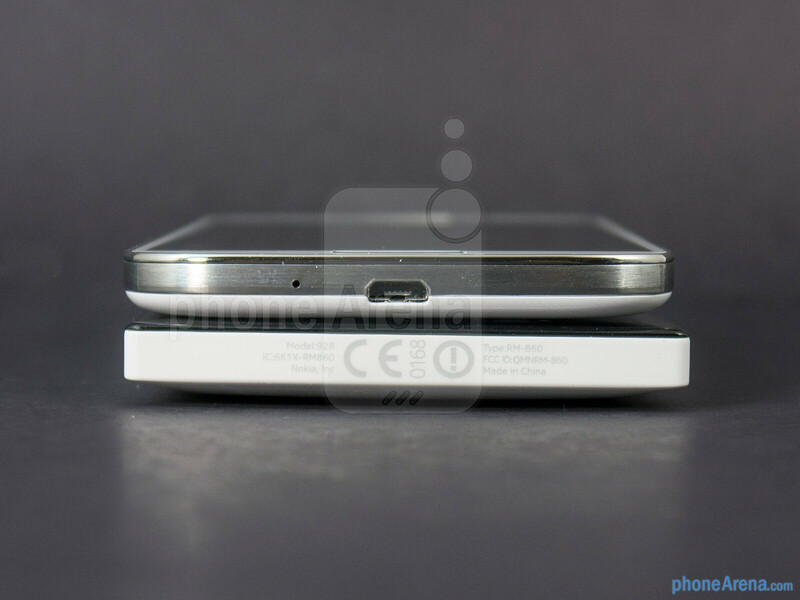 Oppositely, the Galaxy S4 also has an impressive camera, a beefy 13-megapixel one that features an LED flash and digital image stabilization. 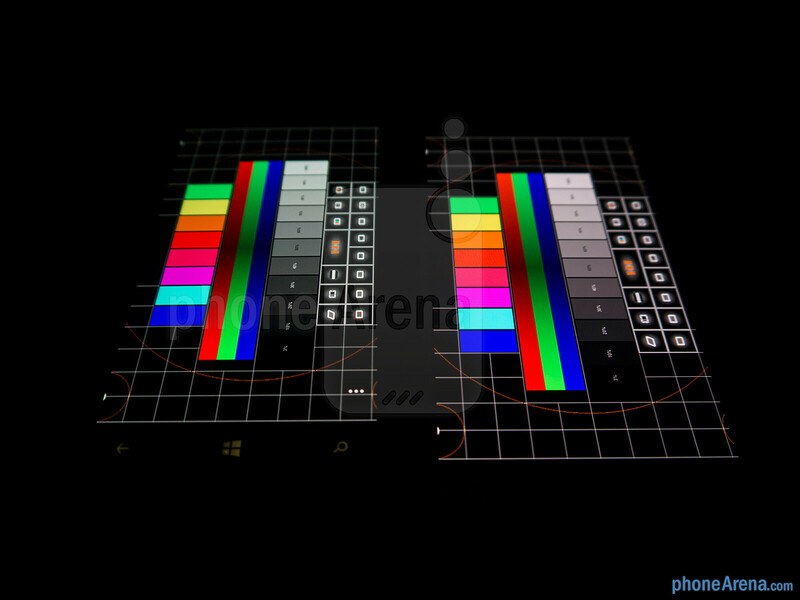 And of course, they both can shoot video in 1080p resolution. 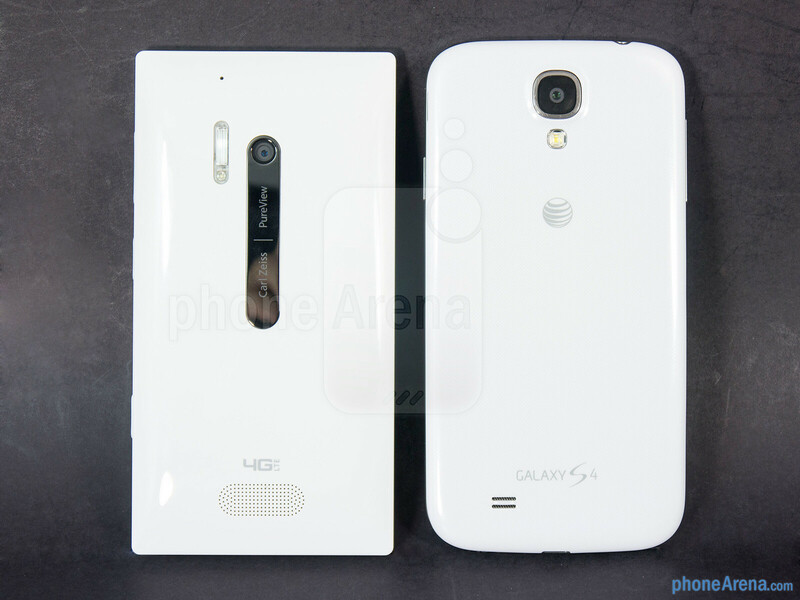 Finally, there’s the matter of front facing cameras as well – it’s a 1.2-megapixel one with 720p video recording on the Lumia 928, and a 2-megapixel one with 1080p video recording on the Galaxy S4. At the heart of these two titans, they both pack AMOLED panels that showcase all the lovely qualities that we adore about the display tech – like their oversaturated colors, wide viewing angles, and deep black reproduction. 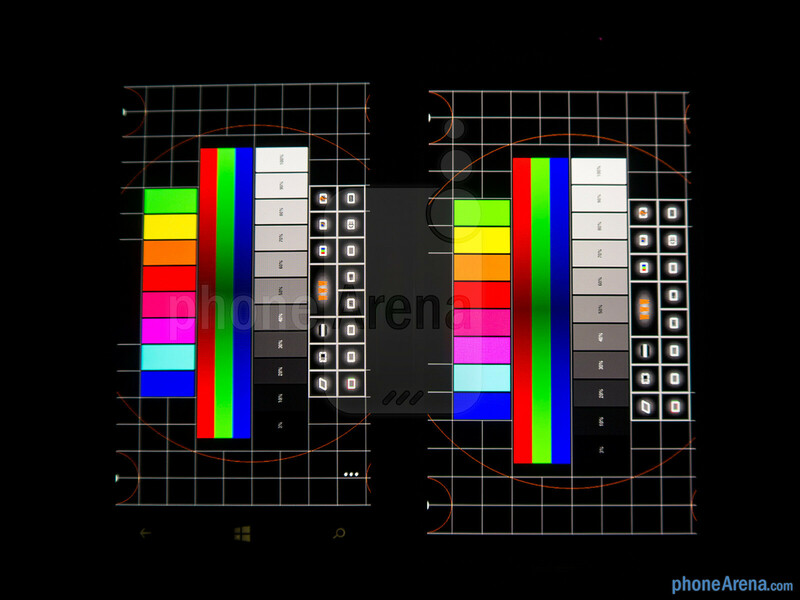 However, the higher resolution of the Samsung Galaxy S4’s 5-inch 1080 x 1920 Super AMOLED display simply outshines that of the 4.5-inch PureMotion HD+ 768 x 1280 AMOLED panel on the Lumia 928. Frankly, the difference in detail superiority is instantly evident as we take notice of the sharpness associated with the Galaxy S4’s display. Indeed, the two are unique amongst other things for their super sensitivity, which allows us to interact with them with glove on, but yet again it’s the Galaxy S4 showing its depth with its new capacitive panel that allows us to hover over the display with our finger. 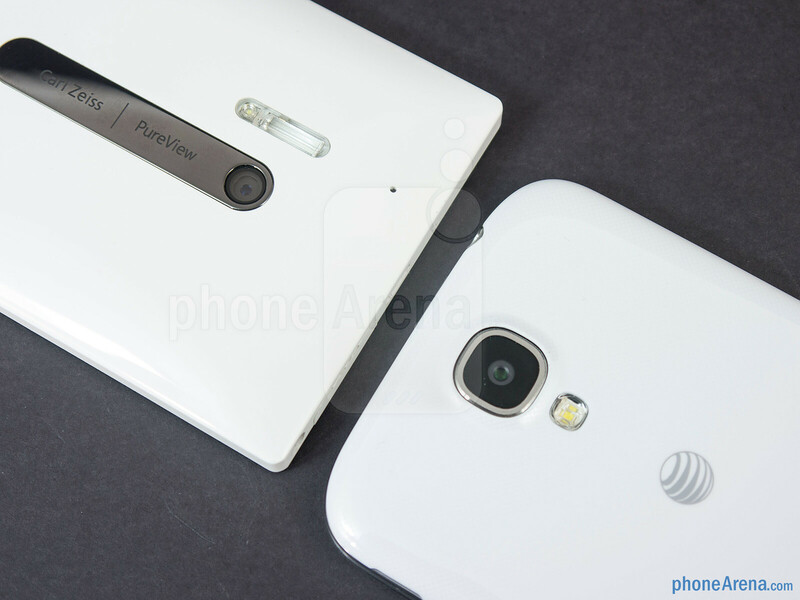 Lumia 928 is not a joke, it beats the GS4 easily with it's PureView camera. Yes, the GS4 is an awesome phone, it has beasty specs and features, it beats the Lumia 928 in almost everything, but the Lumia 928 is not bad at all, it has an excellent camera (better than the GS4 of course), and it has okay specs and features. 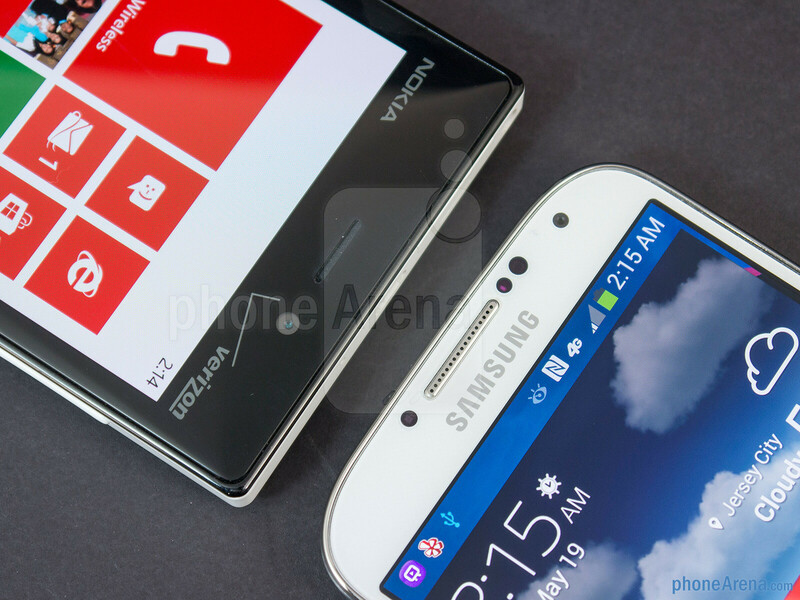 If you like the GS4, just say "GS4 all the way", don't spit "Lumia 928 is a jokes". Wendy, the "best" Samsung fanboy as always. i guess u forget features that NL928 have :(. i don't think that NL928 have okay features though. > Puremotion HD+ 60 FPS HD display refresh rate >Pureview Camera - Low light, OIS-floating lens >Super Sensitive screen >Integrated wireless charging >Pentaband LTE support and u said it has okay features. But not Carl Zeiss Optics, HERE Navigation, Here City Lens. A microphone second to none. A Smartphone is so much more than a camera and a pretty screen. You should have just started the comparison with the disclaimer that you were going to look for S4 advantages and not research the 928. The 928 camera blows the S4 away in low light and has features like Panorama, ISO800 for true "Stop Action" and if you had cared to look, you could have switched the Video to 1080. It just defaults to 720 to save memory. on Mics- "To be specific, they include the standard mic" The Nokia mic is so superior that HTC had to switch to an inferior mic after losing a patent infringement case! As said Below, the 928 Mapping is the standard of the industry and 80% of the Auto's sold with on-board navigation use HERE. I could go on but it's pointless as your mind was made up before you started this bogus story. If you are going to do a review, please learn your instruments. Easily? Were not talking Oranges to a Potato here. Camera does have a slight advantage as durability is more important. Take that a side and the Lumia is a joke. It amazes me that people are willing to defend a company that refuses to give them more. Anyhow, I know two people. 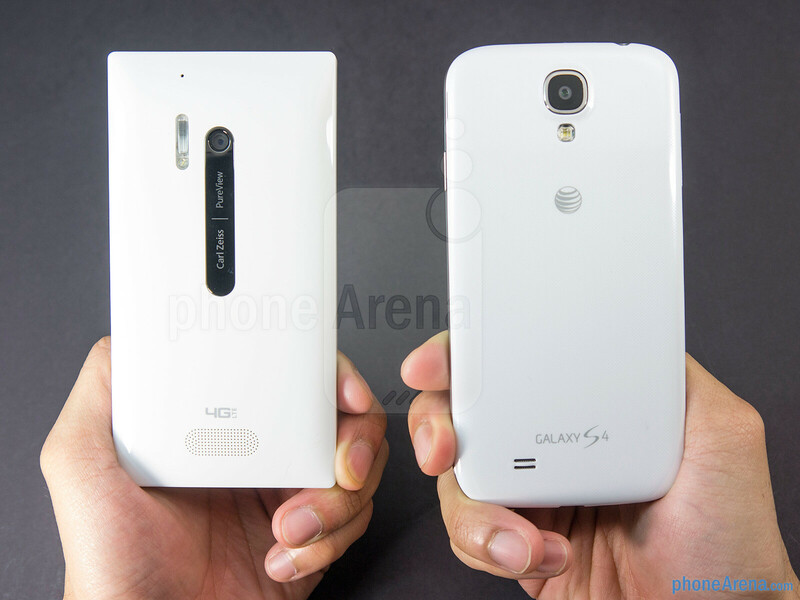 One with the Lumia and one with the GS4. 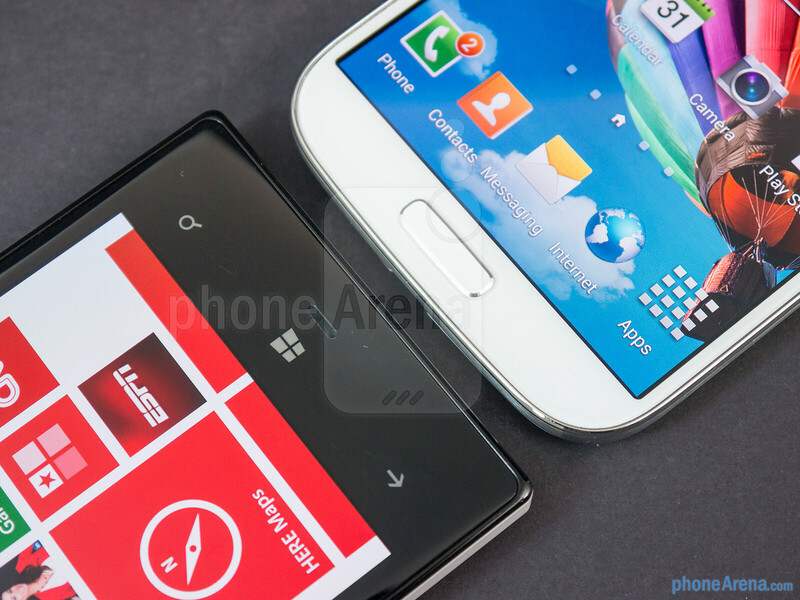 The Lumia owner felt his OS was extremely limited and a POS compared to the features found on the GS4. There is no comparison between the two unless you're planning to take pictures all day everyday. OK You know 2 people, and 1 thinks like you do. Err That isn't a lot of comparison. Exactly what is the GS4 better at, other than being able to use it as a VERY expensive TV Remote. The Lumia loads things just as fast, has better Mapping and City Lens, Mic is a full generation ahead, Lumia is more rugged, can do just about everything the GS4 can do at half the price. I can do 3 way calling, surf during a call even take video while on the phone, then send the video, or just use the skype to show what I am looking at. Certainly there are more Apps, but as I said, once you DL about 50, how many do you have to offload to load more? Battery lasts a full workday, Wireless charging means I can set it on the charger while I use it as a Secure Hotspot instead of joining the open window WiFi. I have Office, can link directly to my Laptop or desktop so I can transfer files without spending Gigs of Data. NP we are both happy with our phones. I am not saying the GS4 is a POS, why do you feel the need to bash someone else's phone to make you feel better? A tad insecure with your choice? Some need to justify your extra hundred bucks or so? Surely if the GS4 is so much better, you can make the extra money that your phone cost you with the extra productivity can't you? I mean, I can zoom in on a CT image on my phone to confirm a diagnosis at likely the same speed you could, assuming you have some Office Clone to generate your billings don't you? Hahah the joke is you wenygarret, keep living in your cave! At least I agree if considering the size. 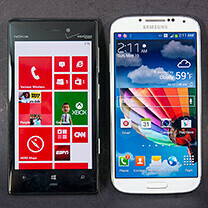 An 5-inch display phone is smaller than an 4.5-inch display phone in any dimension. Why? I mean seriously why? You don't have bash every devices other than samsung deep down you know that Lumia 928 is a great peace of hardware. You may hate WP8 , just use it its not bad as you think. nothing is perfect, android,ios,wp all have their own pros and cons. I have used them all and i like android better bcuz of its features also its closest to pc on a smartphone then i moved on to WP8 just to try it out, i must say i am impressed its pretty cool. Of course its not close to android 4.2 just give it some time i guarantee it will grow faster than you think. now its like a coooool kid. you know cool kids are always cool to hangout with..
Maybe she doesn't actually know any other piece of hardware. The true fanboy (fangirl?) ignores all evidence to the contrary. Can we all just agree to down-thumb Wendy out of existence and not feed the troll? I haven't seen anything insightful from him in quite a while. Typically comments like this one. I'll defend the trolls when they have something provocative or amusing to add (like TROLL® and his outlandish spec lists), but Wendy has been pretty much just trolling of late. So did Wendy and Garett break up? You're the joke, troll. I have both a gn2 and 920 and don't rag on either company. S4 is (a) beast but not (the) beast! forgetting HTC One? Yeah both are the beast. We got two beasts this year. 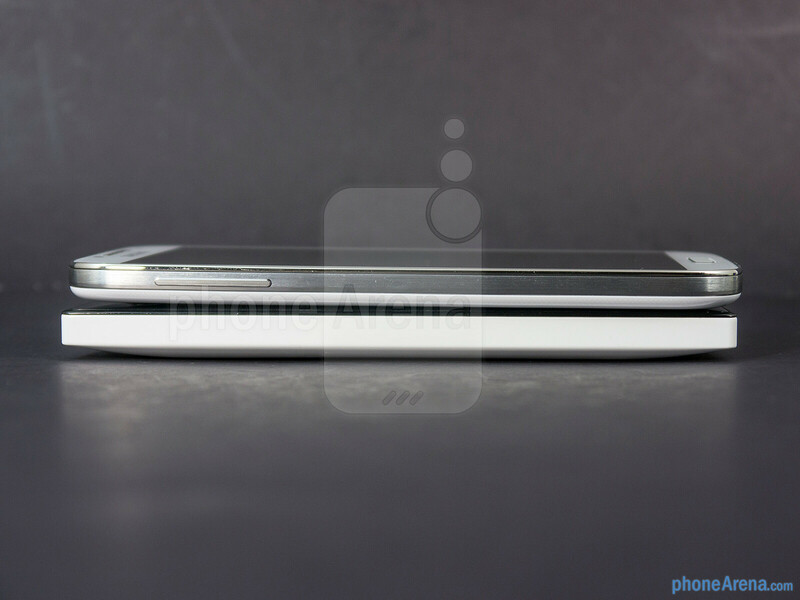 Another is coming "OPTIMUS G"
HTC One is a JOKE...! huh huh haaaaaaaaaaa..